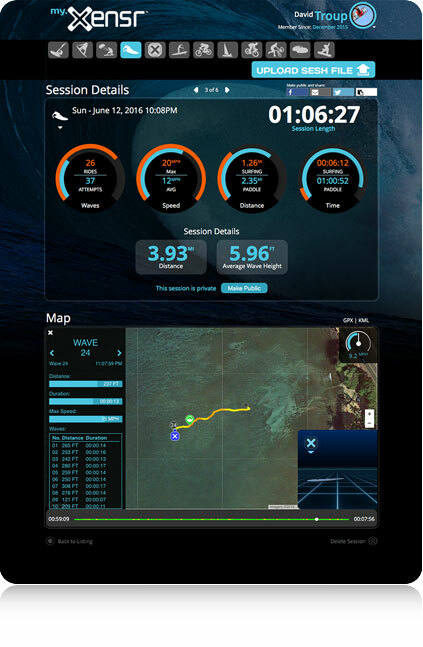 Upload sesh files, dive deep into stats, and view your sessions with 3D GPS at My.Xensr.com. You’ll also find the latest firmware for your Xensr Air, and be able to export seshfiles so they are useable with other services like Strava and Runtastic. Create OneTouch videos, start and stop recording, and view your session summaries, all in the palm of your hand. The Xensr app connects to your Xensr Air and GoPro HERO4 Session, Black and Silver editions. (Not all features available on Android). Know now! Don’t wait to get back to the beach to know how high, far and fast you went! With the Xensr AndroidWear app, you can get your jump stats as soon as you stick the landing. Send it and see it with Xensr!